Tom Shiner has been elected to The College of Fellows of The American Institute of Architects. 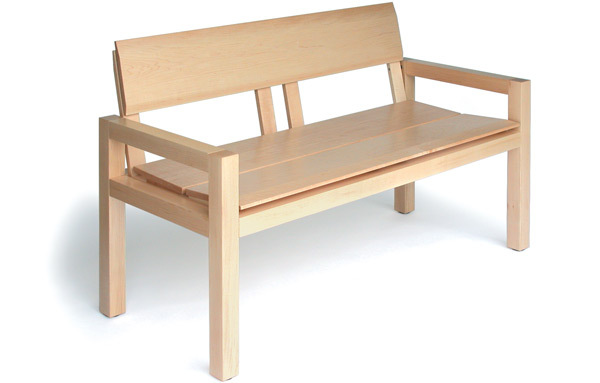 Professionals, administrators, and accessibility experts agree with me; there are few bench designs available that attend to the serious business of bench seating for public spaces. Yet we can all agree that providing people a comfortable, inviting seat in a public space is an imperative. I find it astonishing that, after searching high and low, I have only found a few bench designs that even come close to really working with new and exciting architecture and landscape architecture, renovated buildings, interiors, exhibits, parks and outdoor urban spaces. To further limit and define my ongoing search, ADA and ABA regulations and guidelines apply for benches in federal buildings, so any relevant bench design must take guidelines into account*. (1) Comfort. The bench must accommodate older people, people without disabilities, and people with disabilities. The bench’s form and features contribute to a “universal” comfort factor, and materials are critical to provide correct textural and non-conductive properties. 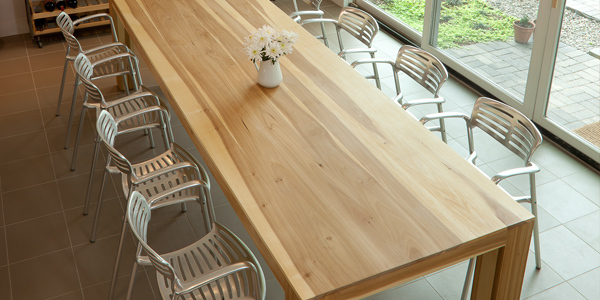 For example, wood has properties that resist slipping and isolate uncomfortable cold. (2) Stability. The bench must feel inert and solid. Firmly supported armrests must be provided as grips to help with sitting down and getting up and out. (3) Aesthetics and Context. The bench must be modestly attractive and inviting. It must quietly fit with its surroundings. A style-neutral restraint of expression works best. (5) Sustainability. The bench must incorporate eco-friendly materials and finishes with attention to maintenance issues and a long, useful life. (6) Tamper- and theft-proof installation. Except in areas that are continuously monitored, the bench must be securely anchored. (7) Damage- and vandalism-reparability. Damaged or graffiti-painted components of the bench must be replaced, repaired or re-finished, instead of replacement of a whole bench. (8) Regulation compliance. ADA and ABA Accessibility Guidelines* apply. * For further clarification, please contact US Access Board: Bill Botten, 202-272-0014, botten@access-board.gov. 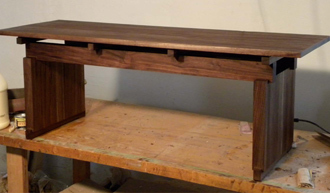 Why is solid wood so often overlooked for making furniture? It is much more beautiful to me than furniture made from pressed and processed byproducts and veneers. 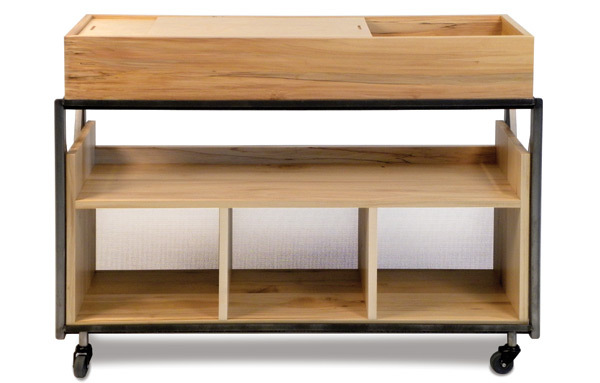 Here’s why, as a furniture designer, I like to use solid wood instead. 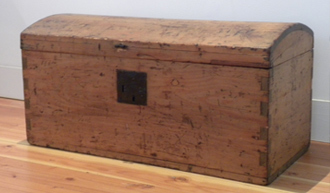 This antique chest was made using common pine and simple tools. It does not rely on rare or prized material, technical complexity or decoration for its value. 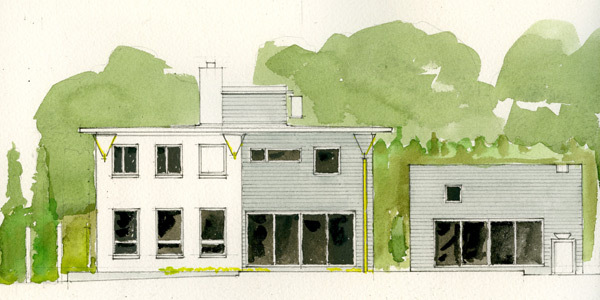 I admire its proportions, warmth, patina, quiet personality and humble, unadorned utility. It’s one of my favorite things. The maker of the chest probably approached the job in an entirely practical way, but the piece exhibits extraordinary grace, as if the woodworker breathed human ingenuity and talent into the construction. 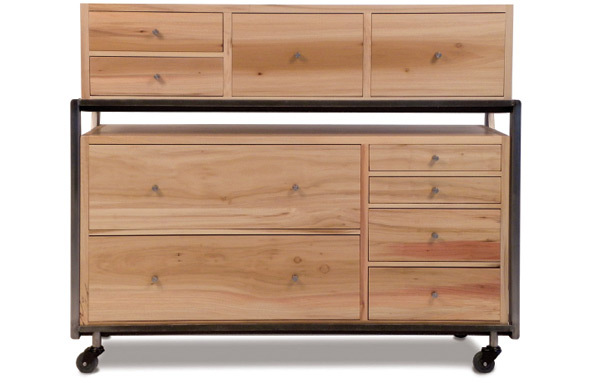 This simple chest shows what can be achieved using wood straight from the tree. The maker understood the material, decided about thickness and joints, thought out details and techniques, and deftly worked the wood with his hands to complete an honest box. The chest continues to be sturdy, useful and valued. I just built the second piecefrom walnut. It could be used as a seat or low table. What is it about walnut? Why do woodworkers love it so? It has heft but it is not very hard. It “works” easily. The deep purple color is unusual and appealing. No question, it rewards the senses of sight and feel. And that’s one of the unmistakable differences between things made of solid wood and things made of processed wood: Solid wood feels better. I made the walnut seat (or table) using odd pieces of found walnut. I planed and milled rough boards. I considered the dimensions of the stock to assess what was possible, and by applying some curiosity and effort, I found what the walnut was able to be. A form for the furniture came into my imagination. A sketch appeared. I broke down the piece into its components and I visualized a sequence of assembly. It finally came together without much hassle. In fact, it was a joy to make. 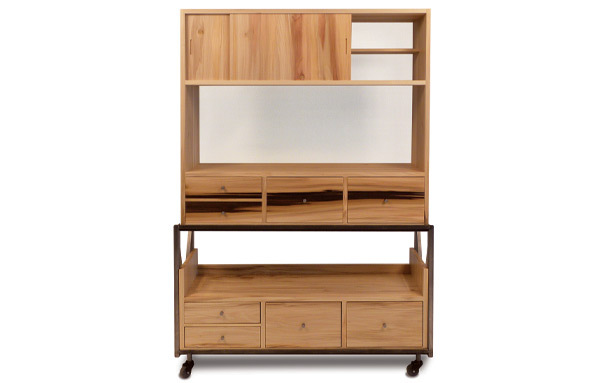 The pine chest and the walnut seat both incorporate metal fasteners and fittings. 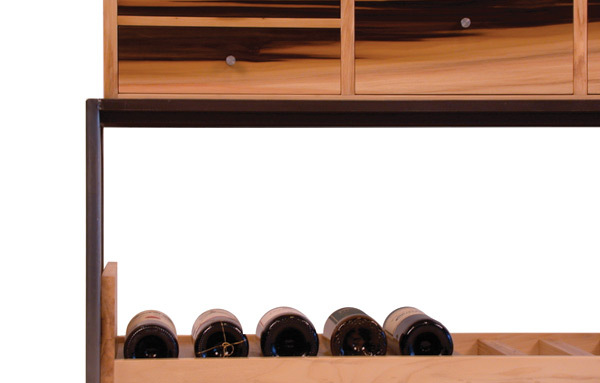 For me, metal hardware is practical and natural accessory to complete a wood furniture idea. Metal has no decorative role. 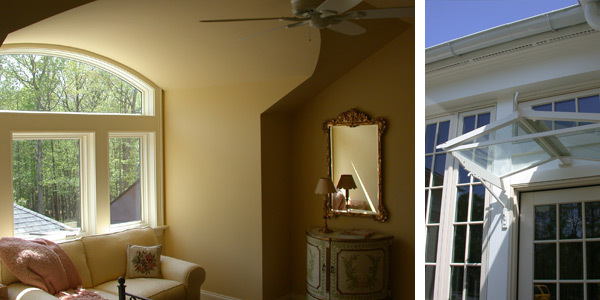 Both pieces have minimal coats of a protective finish. The natural beauty of the wood is attended to from time to time, periodically refreshed with applications of oil or wax. This maintenance is in itself another joy. 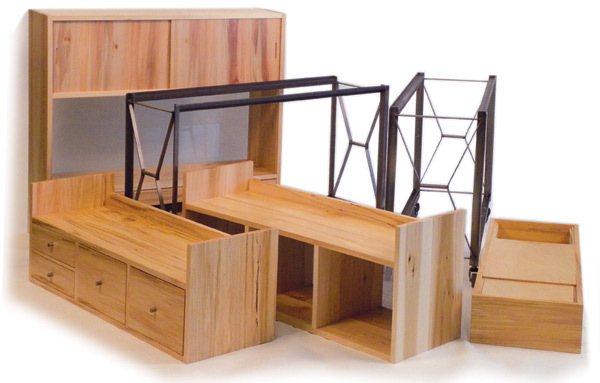 It's difficult to find practical, unfussy furniture made from solid wood. Shame. 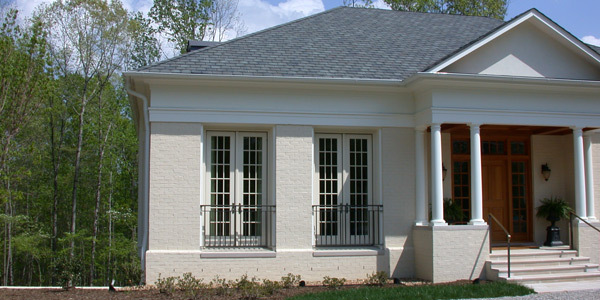 The Western Avenue House was completed in 2011. Perspective: Stairs — Fireplace with raised hearth, stair ascends to second floor. Perspective: First Floor — Raised hearth incorporated into stair. Perspective: First Floor — Long view towards the dining area and kitchen beyond, ceiling fans. 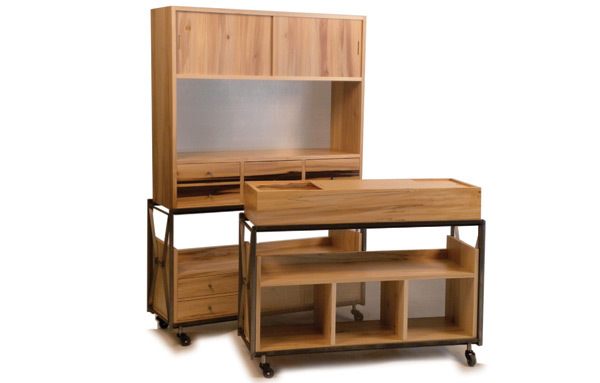 The WD/STL System (WOOD/STEEL) exhibits qualities of wood and steel in a frank, authentic way. Available now. The rolling frames are welded steel profiles. The steel in the frame has probably been recycled several times before this fabrication, and there are no coatings applied beyond a light rust inhibitive and natural wax. The boxes are expertly crafted from poplar wood. 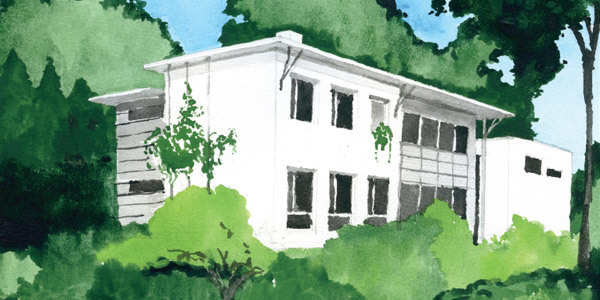 Poplar is a fast-growing sustainable local resource. 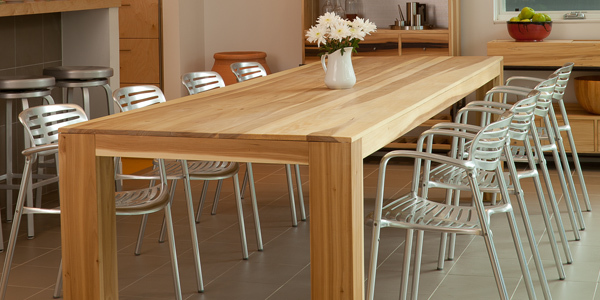 Poplar is often overlooked as a rather common secondary furniture wood, but it is forgiving and easy to work. 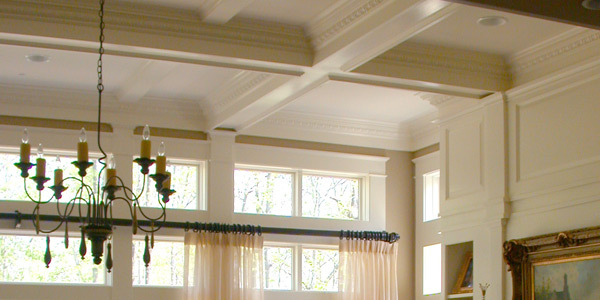 The wood itself is bone white but often features unusual color characteristics and grain patterns. 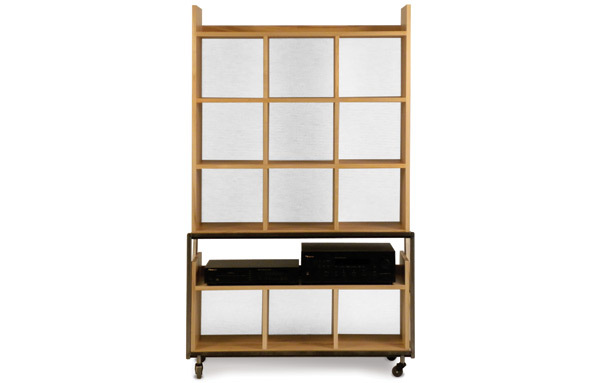 The wood components are finished with a natural, easy-to-maintain lacquer coating. Wheels are natural floor-protecting rubber. Box backs are perforated aluminum sheet, recyclable. 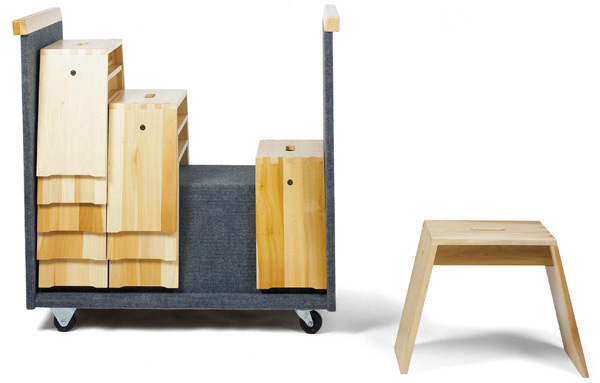 The Museum Stool and Cart — Originally designed for museums, the Museum Stool is also the perfect portable seat for libraries, schools, offices and homes. It brings museum quality to any space. 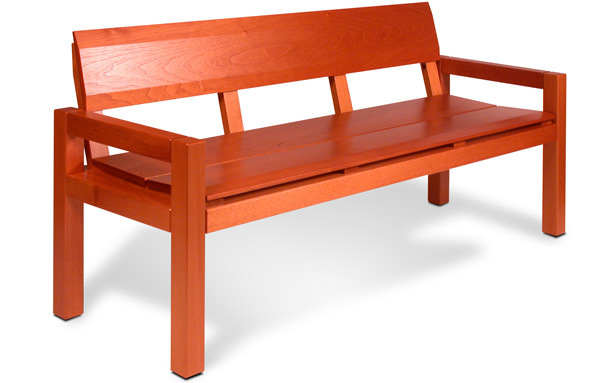 Monticello Bench — Few benches available in the marketplace harmonize with public settings and architectural styles as well as the Monticello Bench. 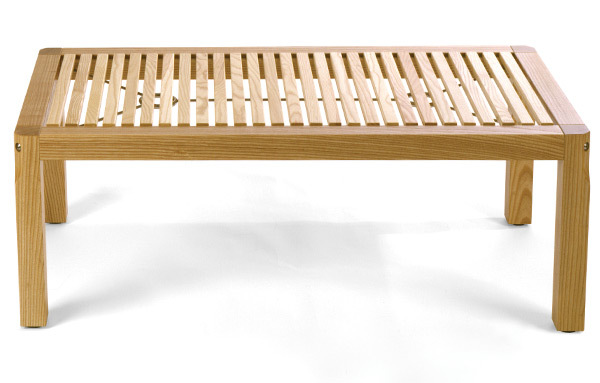 Gallery Bench — The Gallery Bench exemplifies a noble simplicity of line and form that will quietly enhance an environment. 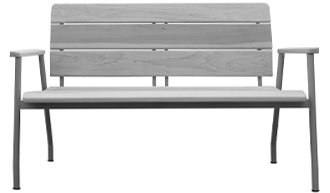 Mark Twain Bench — The spare and honest design of the Mark Twain Bench blends seamlessly with the space it occupies. In Bozeman, Montana, 110 S 10th Avenue was a tiny wood frame house originally built circa 1900. 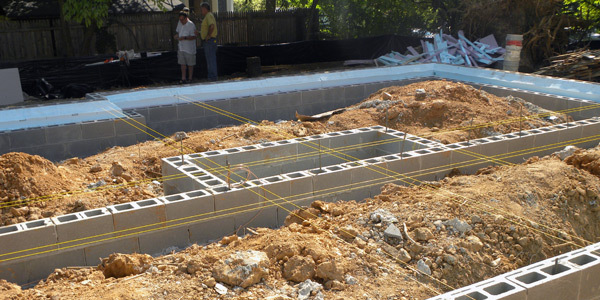 It required extensive restoration and a new foundation. Located in the Bozeman Conservation District, the plans for the restoration received approval from Bozeman's Planning Department. 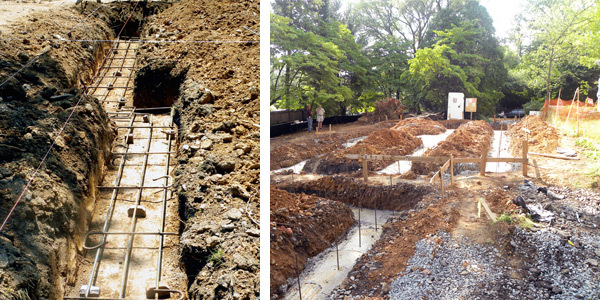 The basic carcass of the original structure was lifted by a crane and returned to its present location on a new reinforced concrete foundation. 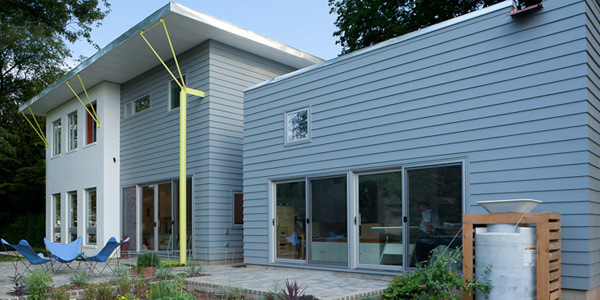 The restored structure incorporates a galvanized steel standing seam roof, new casement- and awning-style windows with true divided lights, and high-performance insulation throughout. The house features a sleep loft, a galley-style kitchen with stainles counters and appliances, custom cabinets, and a tiled shower/WC compartment. Located in Bozeman's Conservation District, 214 S 7th Avenue is a complete re-build of a CA 1020's house on a tree-lined street close to the center of town. More than doubling the square footage, the project respects the exceptionally cozy context by carefully adapting to town's architectural typologies. 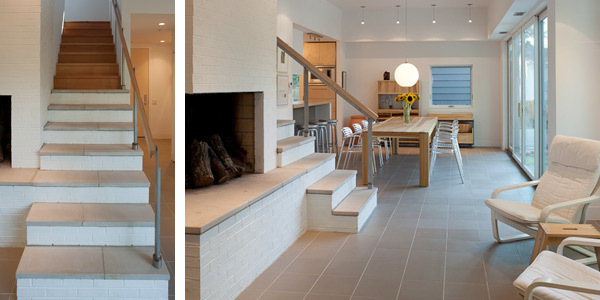 The house exhibits a high standard of construction quality, energy conservation, and spatial efficiency. The project is an example of what can be achieved applying principles of open planning, natural ventilation and daylighting. 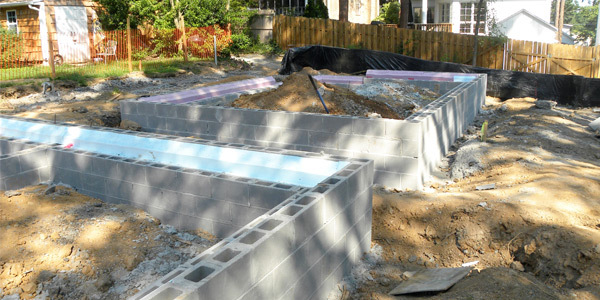 The site for 5655 Moreland Street NW is a deep, narrow lot oriented west to east from a street corner in a quiet urban neighborhood. An immense beech tree is located almost directly in the center of the lot. 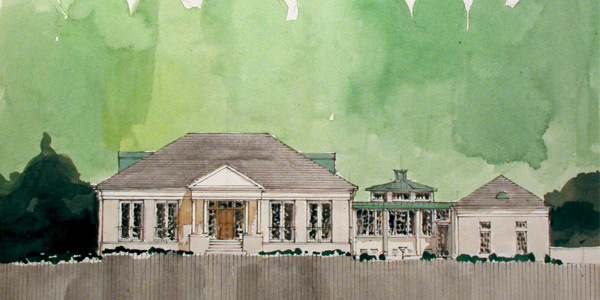 The idea for the house: a "U" shaped composition open to the south enclosing a center court and the large beech. 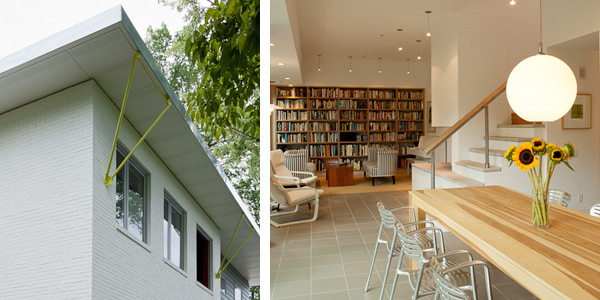 The 2-story garage/studio with gate and trellis completes the idea. Faced from the street, the effect reinforces a sense of privacy, mystery and boundary. The house and addition contrast with the surrounding brick colonials because of style charactersitics, but more importantly, because of the stark introversion. Concept Ferrari, Oval Chair — The detail photo at right shows the chair's stainless steel milled rod and offsets. 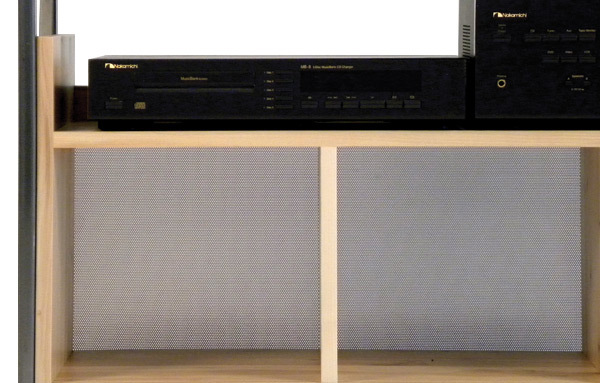 The Original Prototype — Circa 1980. Back Detail — Stainless steel rod and mounting plates. Construction — Assembly of laminated wood components superimposing drawing. This building is located in Berlin's most prestigious and charming quarter. The exceptionally well-preserved turn-of-the-century multi-use building required a renovation for the facade, public spaces, new systems and an entire roof-level. The award-winning design added five luxury apartments under the new roof, expanded the rental capacity of the building and provided outdoor rooftop spaces.